*** Note the Kichijoji Rose Bakery has closed. I am so heartbroken. Kichijoji is a great station to visit that is close to both Shinjuku and Shibuya. It can be reached by the Chuo line from Shinjuku or the Inokashira line from Shibuya. Inokashira Koen is a large park just minutes from the station. It is great for walking around and there is even a small zoo at the park. Kichijoji also has an interesting shoutengai (shopping arcade) that is worth exploring. I list some of my favorite shops at the shoutengai in this Metropolis magazine article. 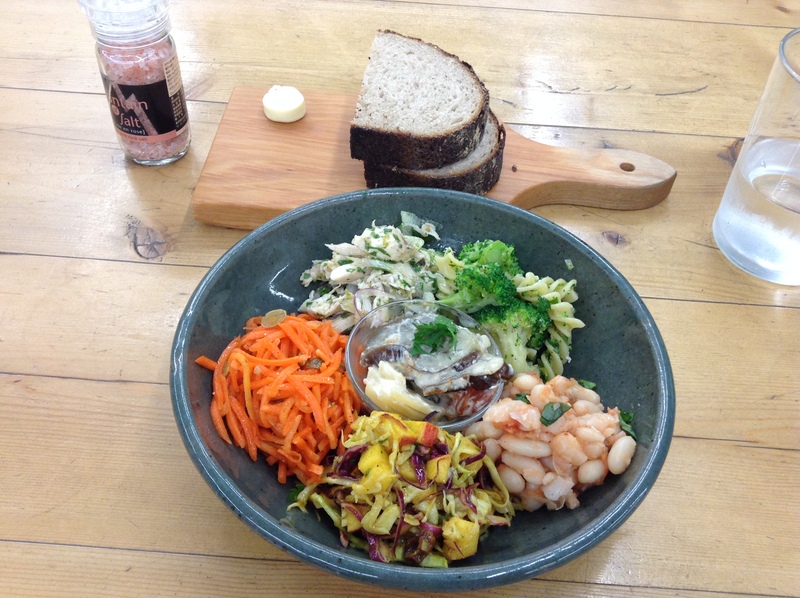 The salad lunch is a colorful, healthful lunch that is packed with a variety of flavors. There was some chicken and anchovies in this lunch set, but I am sure if I requested 100% vegetarian that the staff would have accommodated my request. But there is a lot to see in the station building, atré. There is a great seafood store, Uoriki, on the first floor, Shinseido bookstore on the 2nd floor, and a Kaldi on the 2nd floor to pick up some imported food products. The bread is lovely here. A bit dense with a crispy, slightly burnt crust. Rose Bakery is on the first floor near the concierge stand. It is a perfect place to meet friends or to sit alone and catch up on some reading. 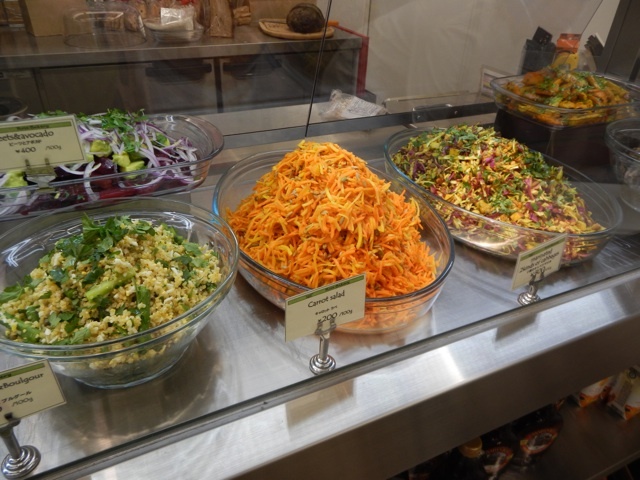 Rose Bakery has great salads that are served for breakfast. I have come to love these salads so much that it has changed the way I make salads at home. Almost once a day we’ll make a Rose Bakery inspired salad. 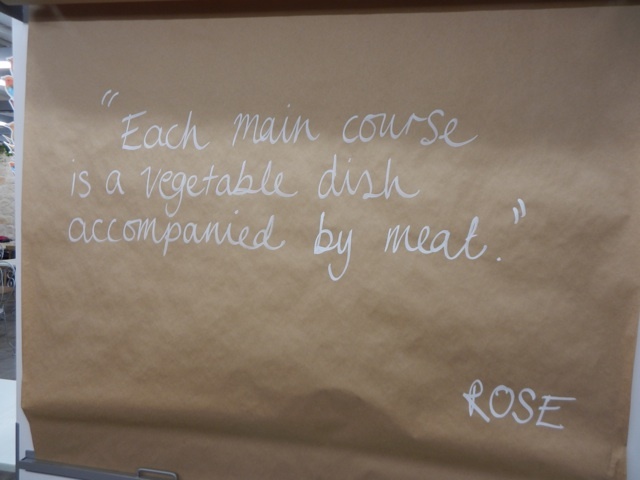 As you can see in the photos above the salads are simply vegetables in a vinaigrette, sometimes with curry in the vinaigrette. Many of the salads include sesame or sunflower seeds. As you can see, Rose Bakery is brightly lit. Perfect for getting some work done or reading. 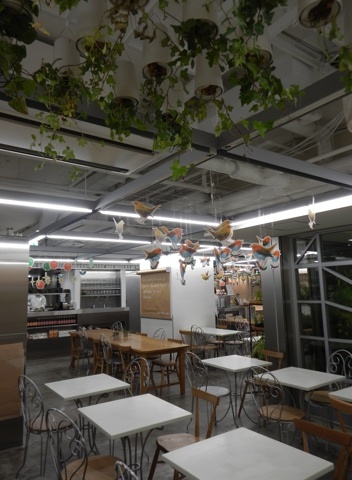 On a recent visit there were live plants hanging from the roof. 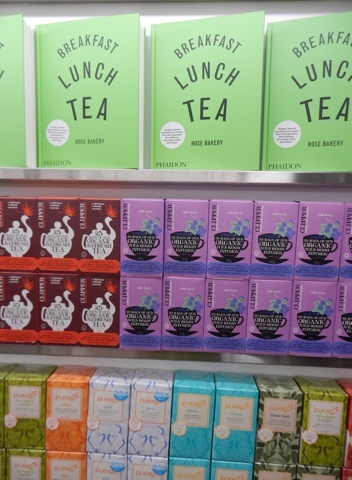 The Rose Bakery cookbook is for sale as well as some tea and other ingredients like sunflower seeds. The colorful salads. Now you can understand how this is very inspiring, not only to eat better, but to try and recreate some of these at home. 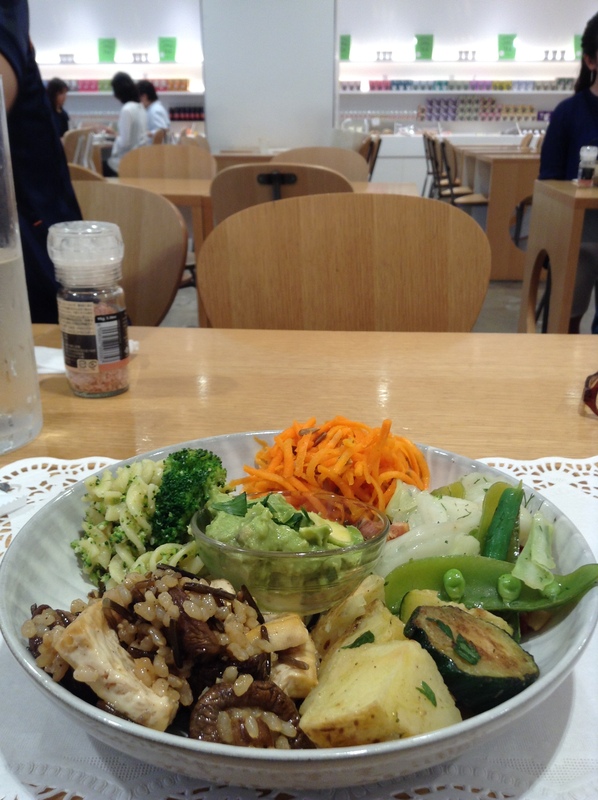 I have only been to Rose Bakery in Japan, and love the use of local produce for the salads. My only complaint is that there was water dripping from the plants onto the papers I was editing at the café. There is a selection of sweets as well. Rose Bakery also has take-away if you are in a rush. 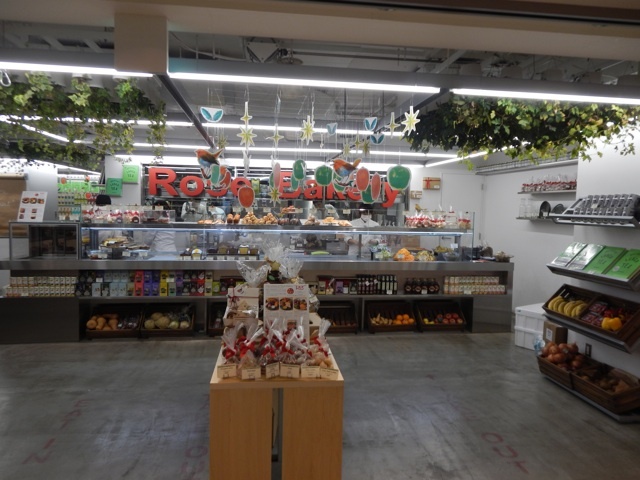 Rose Bakery started as a shop in England that also has a branch in Paris. Currently there are three shops in Tokyo, all in great locations. 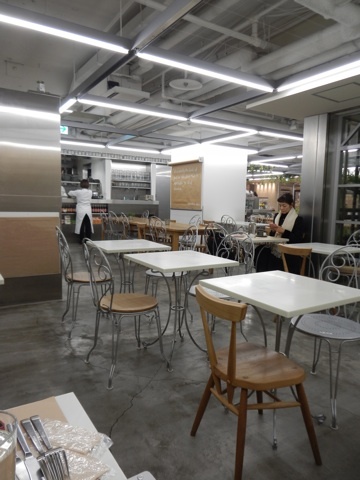 Besides the Kichijoji café the others are in Ginza in the new Dover Street complex as well as in Marunouchi. 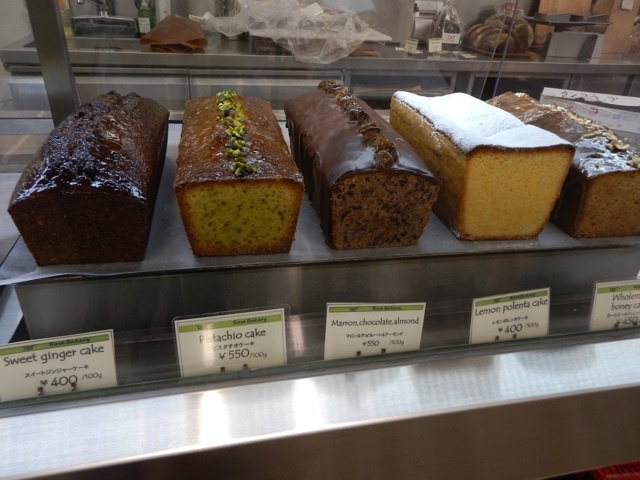 Another thing I love about Rose Bakery in Kichijoji is that it opens at 8 a.m. on weekdays and 9 a.m. on weekends. 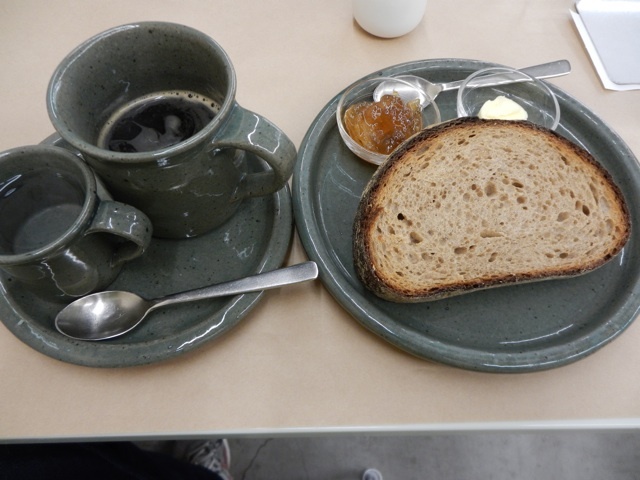 While Kichijoji has many great cafés, a lot of them don’t open until 10 or 11 a.m.